Flank steak that is rubbed in spices and slow cooks with peppers, jalapeño, and onions all day to tender and juicy perfection! This recipe is easy and will become a family favorite! I remember trying to take this picture. I had only been blogging for three months! It was in the hallway on the stairs. I didn’t know how to use my camera or turn off the flash! So I covered the flash with my hand and took the picture! ? I think it is safe to say I have come a long way. And learned how to use my camera a little better! Anyway. 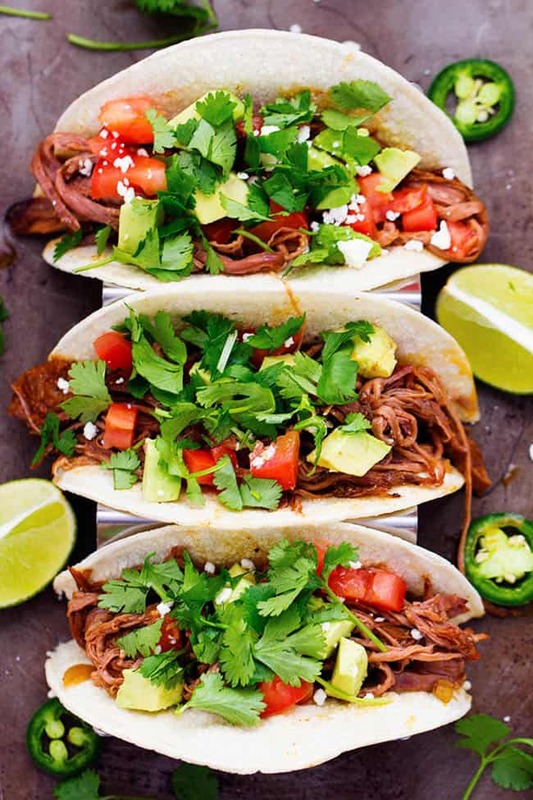 Now that you have had a good laugh and realize that anything is possible, let’s talk about these carnitas. If I am going to make shredded beef it has to be perfect. I don’t want the beef to be dry or chewy. It has to be melt in your mouth tender and full of flavor. That is why I LOVE this recipe! A flank steak slow cooking all day in a spice rub with a combination of peppers, jalapeño, and onions. The beef creates its on juices while it cooks and is so unbelievably tender. It doesn’t get much better than that! 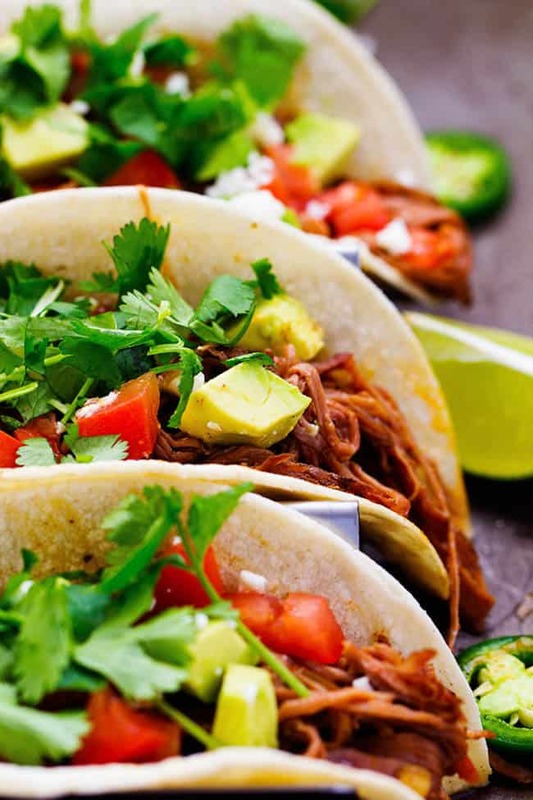 This recipe is the perfect way to make beef carnitas for your family. You will not believe how amazing the flavor is and it is so tender. This is one of my husbands favorite recipes. In fact, he is devouring two as we speak. Mix together all spices in a small bowl. Rub the spices all over your flank steak. Place your steak at the bottom of your crock pot. Wow- that sounds very tasty!! I’d love for you to share it on Wonderful Food Wednesday at http://www.athometake2.com. Trying this recipe this weekend! Looks delish and Mexican is my favorite! Thanks for sharing. Have a wonderful week. I’m having to use a different meat as well and worry that it will stick to the pot. Do you think, had you not added the broth, this would have been the case when you did it? I made these and they were soo good!! Just wondering how many the 2 lbs of steak serves after being shredded? Do you think brisket (sp) would work ? Silly question, but what do you do with the peppers, onions and jalapenos? I only have 1 pound of flank steak, should I cut the cooking time in half? 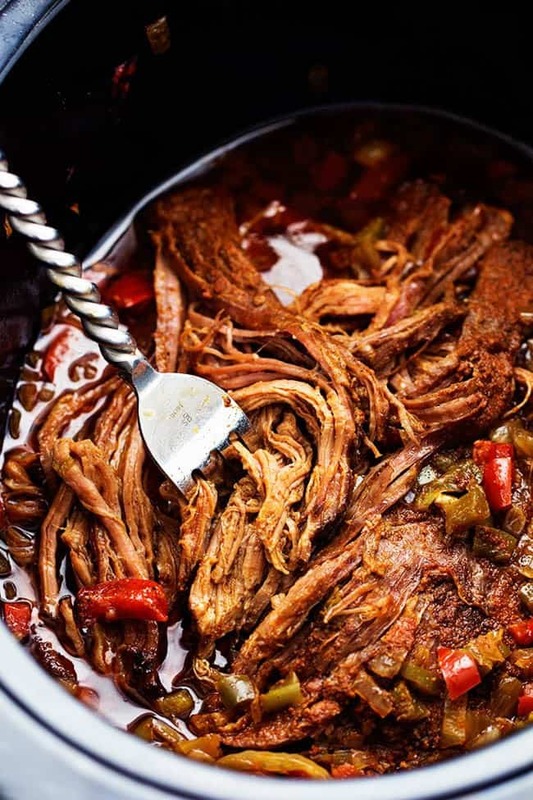 If you are using a large slow cooker it may cook it faster, otherwise the cooking time should remain about the same. I made this for our dinner this evening. I only had a one pound shoulder roast beef and I used my rice cooker to make this. It is so flavorful and I skipped on the jalapeños, and it still was amazing. Thank for sharing this recipe. This is a keeper. I know this post was made a few years ago but I would like to offer small lesson in the Spanish language. Carnitas by definition is pork so what you are calling Beef Carnitas you are actually calling Beef Pork. 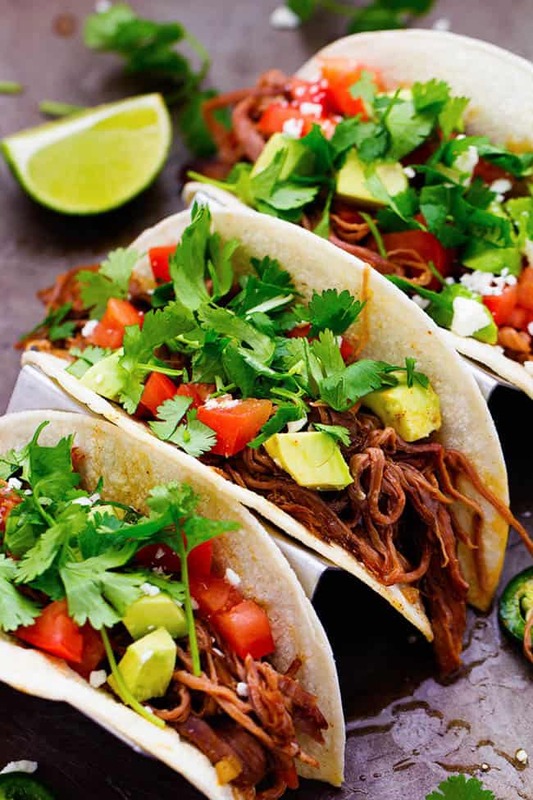 This is actually more along the lines of Barbacoa. 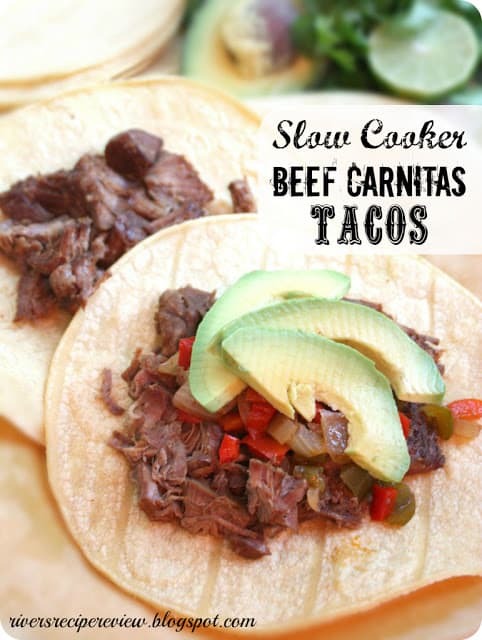 Thanks Shellie, I thought this recipe was great but the carnitas thing bothered me The pictures were great too!! Do you need to add any water or broth? For the garlic, did you use salt or powder? Didn’t know which one to use. I made this recipe for our Mexican Christmas dinner. It was amazing!! Left out peppers and just added all spices to the slow cooker, no rub. it turned out scrumptious….definitely a repeat.